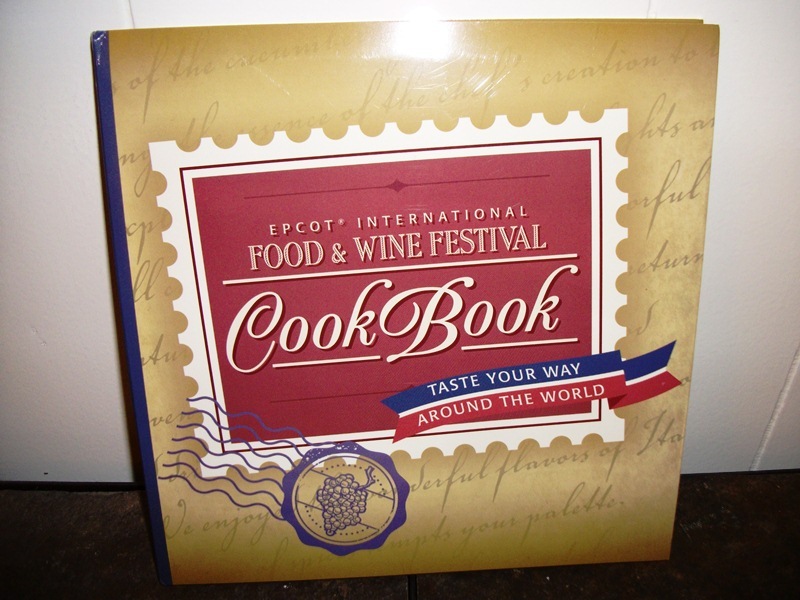 Some of my favorite items to utilize in the kitchen, in case you haven’t been keeping up with the Gazette for the past month, are the cookbooks from the Epcot International Food & Wine Festival. They are filled with recipes from the marketplaces that pepper the promenade each fall, recipes that are sure to ignite memories and run the gamut from side-dishes to desserts and even adult beverages. So, what’s different in this year’s version of the kitchen aid? Quite a bit! The cookbooks of the past several years included sections on Guest Favorites and New Recipes with a third section being utilized for cocktails and items from the vault. This year however, it’s a whole new ballgame, or menu as it were. For starters there are four sections. Cocktails return from 2011 and there is a section featuring the Marketplace recipes. The two new sections take full advantage of the International Food & Wine Festival’s offerings, with entries from Chef Demonstrations and Party For The Senses. For those guests who love these festival experiences, these selections will bring back memories, while everyone else can have a taste of what they may not have been able to participate in! There is a distinction to be made here considering the recipes. While they are part of the event, these two sections’ recipes actually come from restaurants all around Walt Disney World property. This makes portions of this incarnation of the cookbook feel more like a Walt Disney World volume and less an installation in the International Food & Wine Festival series. I’m not complaining, mind you, just making note of the difference. There is another divergence here that is also worth considering when you pick up the cookbook, and that is your level of culinary skill. Previous cookbooks have been geared towards the standard home kitchen and the skills of the average enterprising kitchen cook. The 2012 version of the book is like an advance course in culinary creation. The items needed for the recipes are very likely not in your home pantry, the instructions are more intricate, and the items needed for the preparation (such as bamboo steamers) may require a kitchen upgrade. 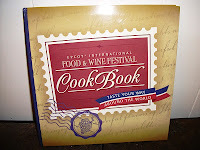 With all of that in mind, would I still recommend you pick up the 2012 International Food & Wine Festival Cookbook? Absolutely! For those who have been cooking their way through the previous cookbooks, it’s time to ramp up your game and challenge yourself. For those who are still in the shallow end of the cooking pool, this is a great item to invest in for the future of your cooking competence, plus there are enough recipes to dabble with as well. All in all, this is a must for all Disney kitchen connoisseur!